Hello! Today’s dental article is for Houston people with stained teeth. 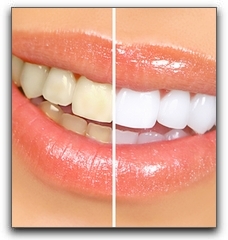 Do you think your teeth are too stained for tooth whitening to have any effect? Think again. At David C. Montz DDS, PA & Associates – Family, Cosmetic and Implant Dentistry in Pearland, we are whitening smiles for patients with both intrinsic and extrinsic stains. Extrinsic stains are caused by dark colored foods and drinks, smoking, and normal aging. David C. Montz DDS, PA & Associates – Family, Cosmetic and Implant Dentistry cosmetic dentistry patients with extrinsic stains achieve great results from both in-office and take-home teeth whitening systems. Intrinsic stains form on the inside but can be seen from the outside. Tetracycline, excessive fluoride, trauma, and aging can cause intrinsic staining for unfortunate Pearland dentistry patients. Though these stains are harder to remove, many Houston patients with intrinsic staining can whiten their teeth with take-home whitening kits. The process often takes longer, but with persistence, intrinsic stains can be lightened. In addition to teeth whitening, we provide a full menu of cosmetic dental procedures at our Pearland office. With porcelain veneers, you can correct the shape of your teeth in addition to brightening the color. If you are missing a tooth, a dental implant may be the solution. Call 832-895-5120 for a dental implant or smile design consultation. If you are embarrassed by a less-than-sparkling smile, let the team of dental professionals at David C. Montz DDS, PA & Associates – Family, Cosmetic and Implant Dentistry help you lighten up.